They left on October 1, 2013. Traveling from west to the east, they started in Panama, spending six months backpacking around Central America. They then flew to Europe, made their way to Morocco and topped off their travel with two years in Asia. Over the course of nearly five years, they saw thirty countries together while dedicating themselves to a life of financial freedom. There were a few rules. Travel slow. Stick to carry-on only. Go where the dollar is strong. Book short stays online then re-negotiate in person. Search alternate flight routes and take advantage of budget airlines. 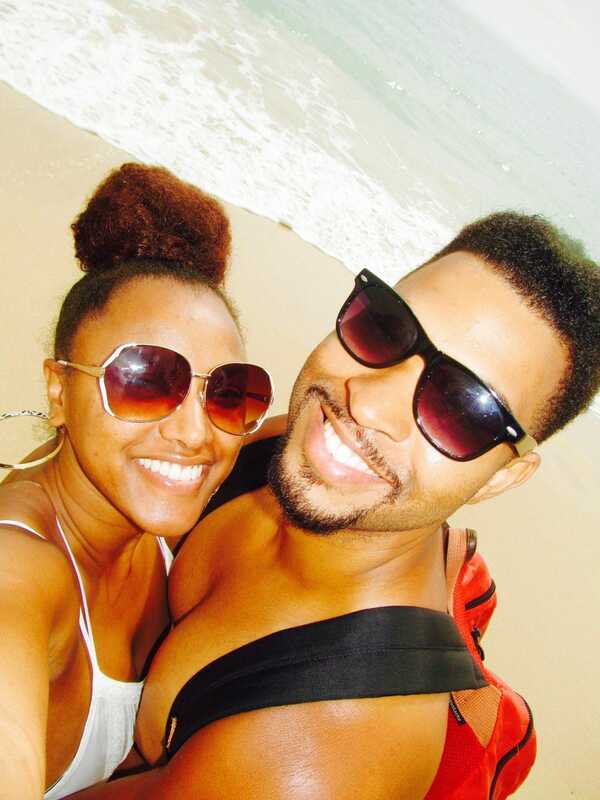 Thanks to their strong budget skills, and Tim Ferriss’ Dreamline sheet, these long term honeymooners were able to travel the world and achieve financial freedom.AMIRAH AND JARRELL COOK. When they finally returned to the United States four and half years later, Amirah says a lot of their friends and family thought what they did was incredible. For the writer, and her painter husband, she says the decision to leave was easy. 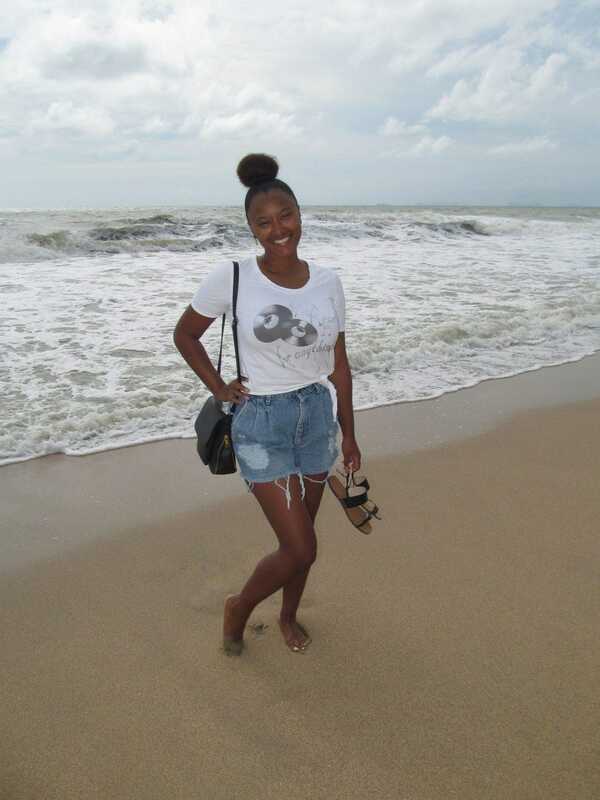 Thanks to Tim Ferriss’ Sreamline sheet and her strong budget skills, Amirah Cook has been able to follow her dreams of long term travel and financial freedom.AMIRAH COOK. Working remotely, the pair traveled frugally as they made their way across continents. With a lower cost of living, and higher quality of life, the pair were able to launch their creative careers. Jarell painted and Amirah built up her writing portfolio, eventually writing her a book on budget travel and her first romance novella. Although now they are no longer budget travelers, the lessons from their younger days have stuck with them, helping them achieve their own version of financial freedom. The biggest trick for achieving long term travel is to break down your goals into achievable steps , says Amirah. Amirah and Jarrell Cook spent their twenties traveling the world together. 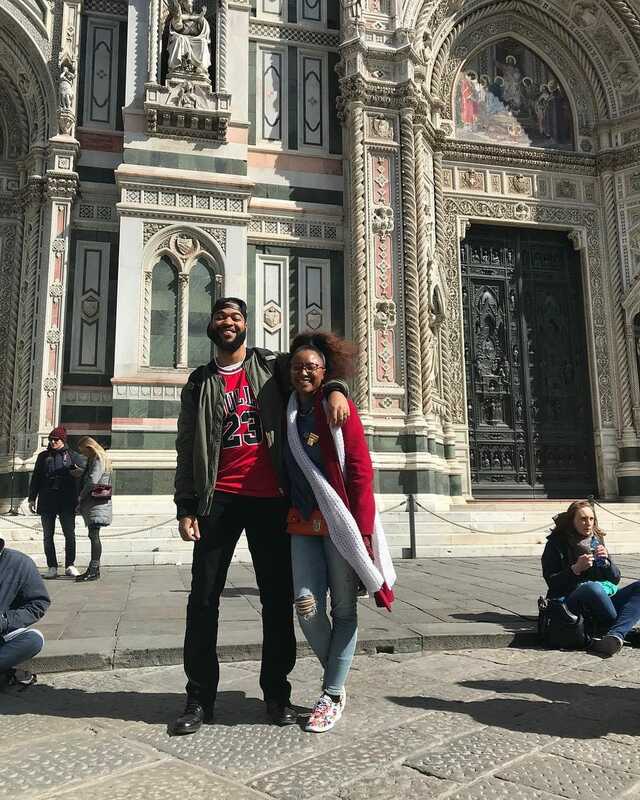 Here they are in Florence, Italy in front of the Duomo or the Cathedral of Santa Maria del Fiore.AMIRAH AND JARRELL COOK. The 31-year old recommends Tim Ferriss’ Dreamline sheet from the bestselling tome, The 4-Hour Work Week to help outline what you need to do to accomplish your dreams. (The sheet is available for download here.) The graphic can be used to plan anything from buying a house to achieving financial freedom, and Amirah thinks it works especially well for long term travel. 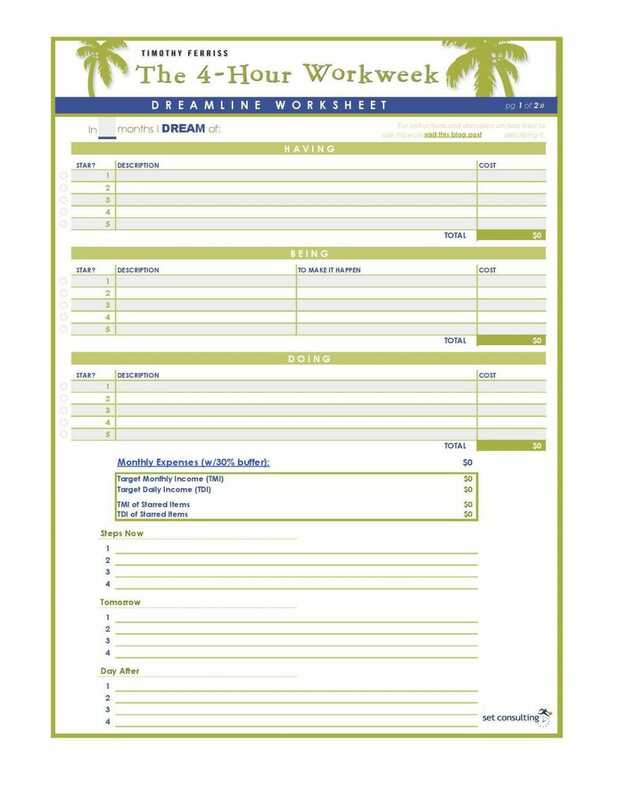 Tim Ferriss’ Dreamline worksheet.TIM FERRISS. After focusing on your goal, the next step is the budget, says Amirah. Her number one way to stay on track is to use cash envelopes, similar to my oft-espoused ATM budget. Every month the millennial makes envelopes with labels like food or entertainment. She then puts her allocated amount of money into them. Once the cash is gone, she doesn’t spend anymore on that category. Although Amirah admits debit cards and credit cards are easier, she finds it much more difficult to track her spending with plastic. 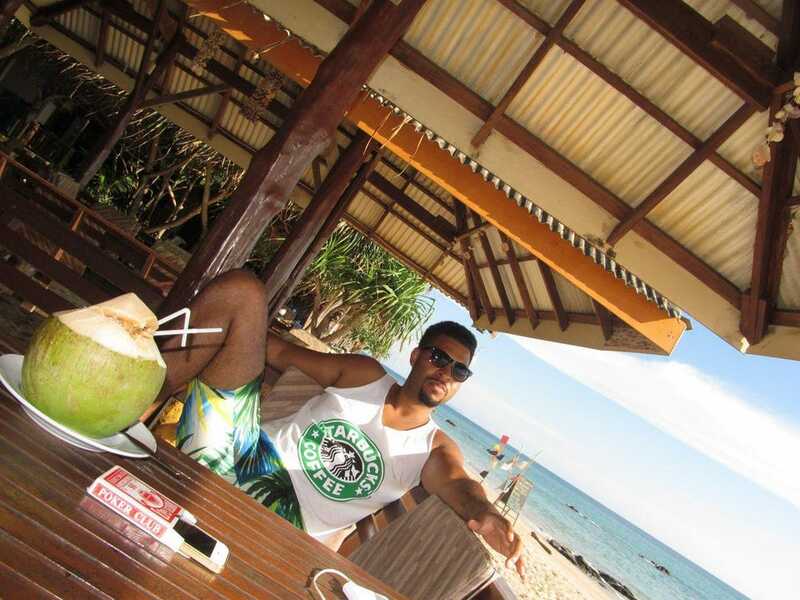 Jarrell Cook enjoying the good life in Thailand, one of the couple’s favorite long term travel destinations for millennials.AMIRAH COOK. Once you get the financials down, it’s time for the fun stuff: deciding where you actually want to live or travel long-term. It’s important to consider both what kind of lifestyle you want and how much you can pay for it. The key is to choosing a country that caters to your individual preferences. Since Amirah is a writer and social media influencer, it’s important for her to live somewhere with good internet. She also prefers places with a warm climate where English is used for daily transactions. Come up with your list of must-haves. And then pick up a map of the world and see where those can be achieved. As long as you stick to your key qualifications, you can be flexible with pretty much everything else. The world is literally your oyster. If you need more information on local cost of living, the site Numbeo has an excellent calculator that breaks down everything from apartments to dinners to transportation. Although she and husband Jarrell’s budget travel days are behind them, here are Amirah’s favorite locations where you can survive on $1,5000 a month, as well as a few alternate suggestions that provide similar experiences. With a low cost of living, great climate and amazing culture, Spain is at the top of the list for low cost expat life. As one of the cheapest countries in western Europe, Spain has so much to offer for an extended stay. Whether you want more of a city vibe in Madrid, or like to relax on an island in the Mediterranean like Majorca, there’s something for everyone. Valencia is a special gem for it’s coastal location and low cost of living. A new, modern two-bedroom apartment can be rented in the city center for a short-term lease at around the cost of $1,000 per month. Daily expenses are comparable to those in a small American city. Avignon, France and Lisbon, Portugal are comparable options. Kick back in Costa Rica for low cost of living and high quality of expat life. Whenever a client is searching for a retreat, usually for artistic seclusion, I always recommend Costa Rica as an option close to home. A private home surrounded by nature can rent as cheaply as $600-month on a short term lease.While many people focus on the hot beachfront locations when visiting, the mountain villages are equally beautiful. Daily expenses are slightly cheaper than those in an American city. Panama City, Panamaand Granada, Nicaragua are comparable options. From the islands of Thailand to the expat popular city of Bangkok, the country has a lot to offer both backpackers and those traveling the world. There is plenty to experience in Thai cities, but I tend to prefer the islands. Koh Samui, my favorite Thai island, offers a wide variety of budget and luxurious options when it comes to accommodation. With it’s own private airport, the island makes access to neighboring countries a breeze. A luxury apartment on Koh Samui can rent for $600 per month, while more rustic options are even less. Thailand often gets a bad reputation for its backpack appeal, but you can take a different approach and still save money.